Episode features: Phoenix West, Mario Valencia, Bri Munoz, Joe Ramirez, and Brent Puccio. 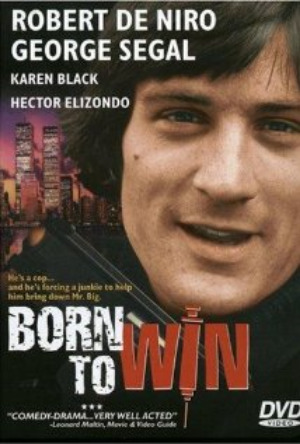 We watched Born To Win and now we associate a serious heroin addiction and lazy thievery as 'winning'. This movie was impossible to see or hear properly because of a terrible video transfer to the DVD format. This movie says it stars Robert DeNiro but he was only in 2 scenes so we felt betrayed. This movie was apparently about the New York heroin scene. It was impossible to follow. Episode Jones: Car Jacker-offer Jones.